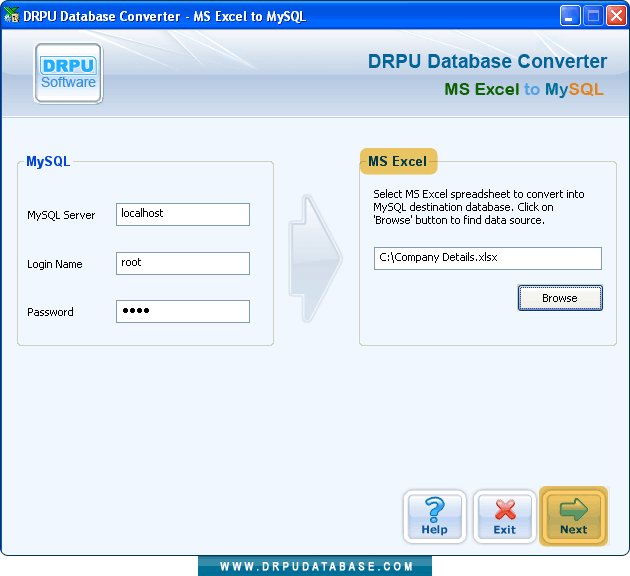 Enter MySQL server login details and select MS Excel spreadsheet to convert into MySQL destination database. 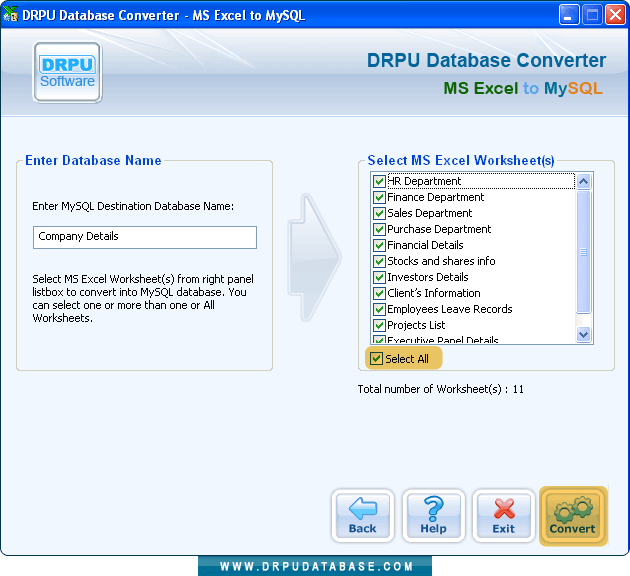 Enter MySQL destination database name and select MS Excel worksheet(s). Click "Convert" button. 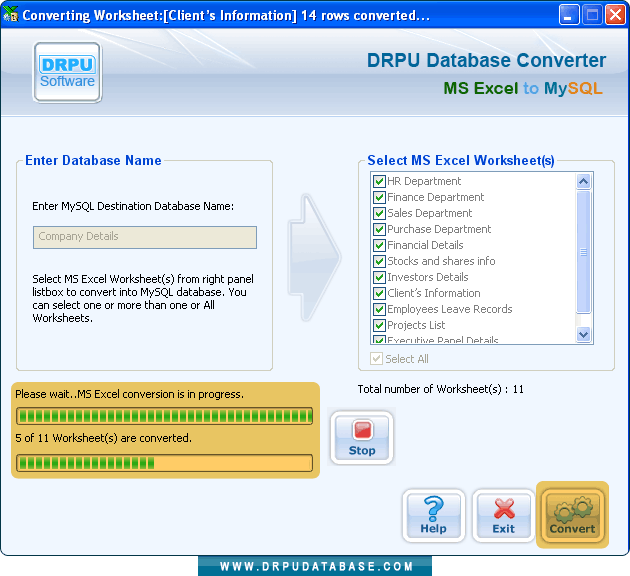 Above screen Shows Database Conversion Process is in progress.